TOUR... Ground Zero, Empire State Building, FAO Shwartz, Rockefeller Center ice skating, Statue of Liberty. Please take a moment to read as we are presenting you with an amazing opportunity. 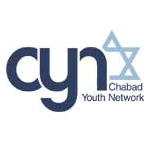 CYN is once again being co-ordinating our New York Annual Shabbaton in conjunction with the Cteen International joining teens and youth groups from Austria, Canada, England, France, Finland, Israel, USA. This weekend will offer an incredible experience to meet and spend a weekend with 2000 Jewish teens from across the globe! The International CTeen Shabbaton is an annual reunion of Jewish teens from across the continent. For the past six years, hundreds of teens have forged new friendships while experiencing a meaningful Shabbat and enjoying the thrills of the Big Apple. Manhattan shopping, visiting tourists' hot spots and Brooklyn's Jewish attractions are some of this year's Shabbaton features. Building on the incredible success of the past Shabbatons, this year's fresh program and revised itinerary promise to be unmatched. Dare to be surprised. Prepare for the unimaginable. The meeting date and time will be posted here once the date is set.